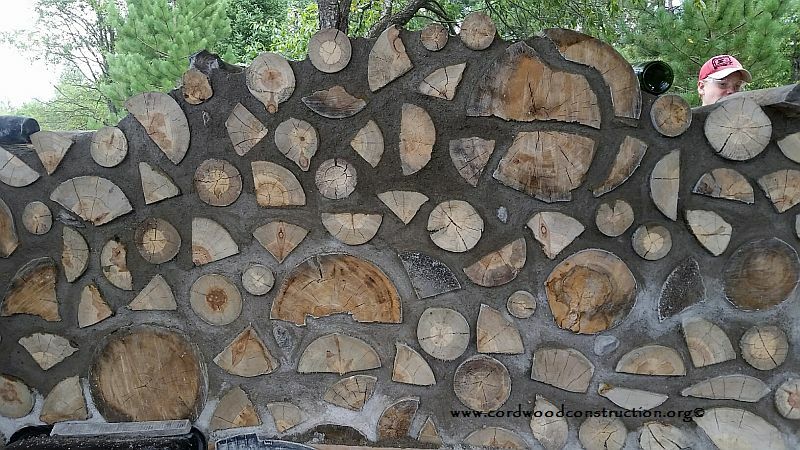 Ever see a modified Peace Sign in a cordwood wall? 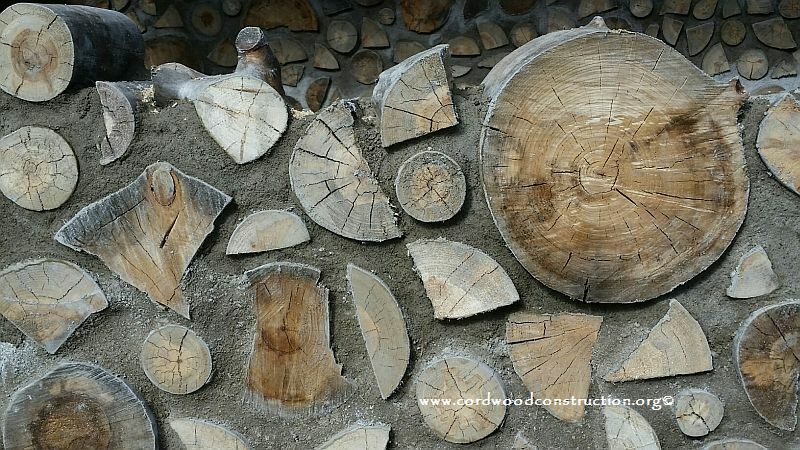 This one is made by exploding (splitting) the piece in thirds and then using a one inch mortar joint to reconnect! Designed by Malachi & Kayla. 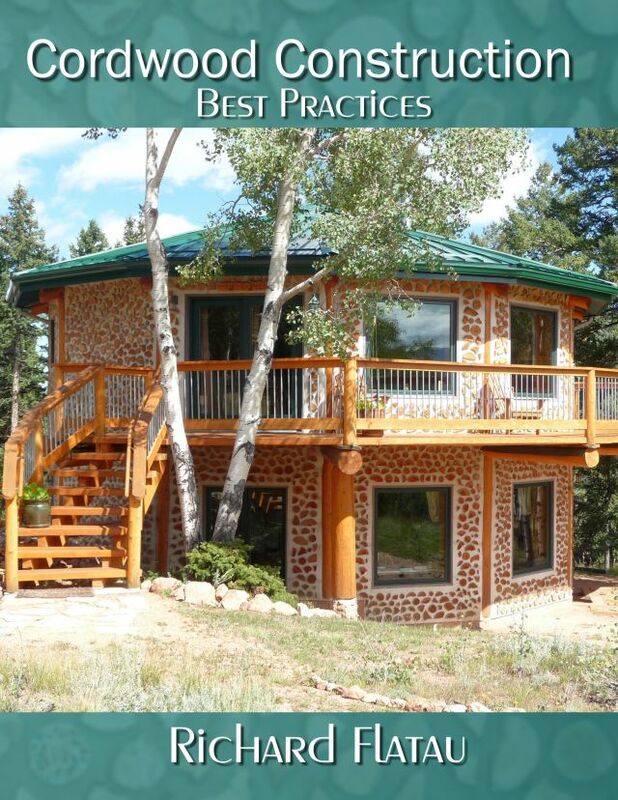 The peaceful wood is Aspen. One more split on the bottom piece would have made the “tail” for the peace sign. 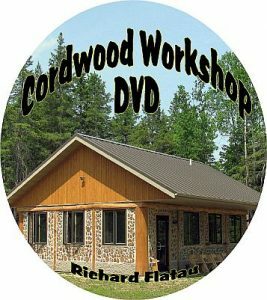 We were lucky to have such wonderful folk at our cordwood sauna workshop in Merrill, Wisconsin. 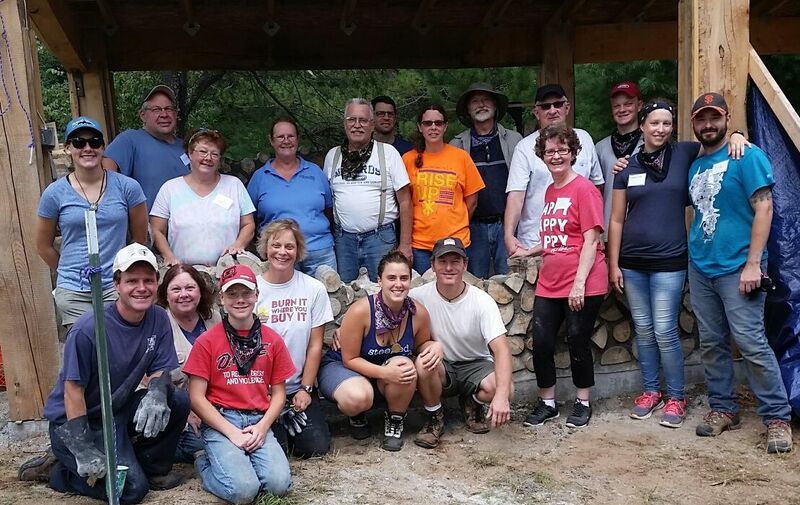 Folks came from New York, Idaho, Michigan, Illinois and Wisconsin to partake in a two day hands on seminar. 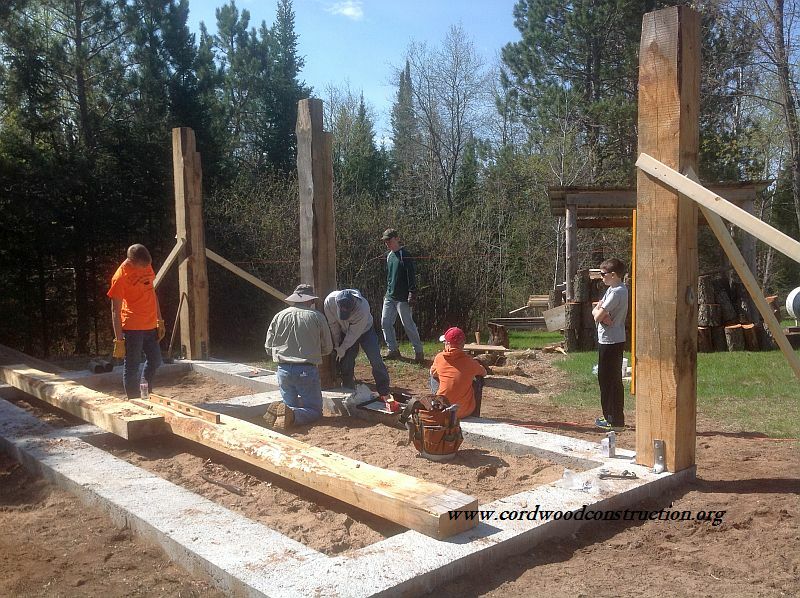 The framing was finished ahead of time for the workshop. 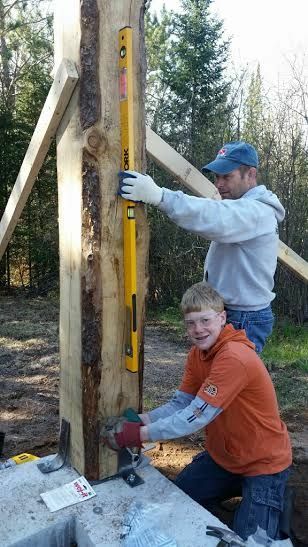 It is important to cross brace all the supporting posts. 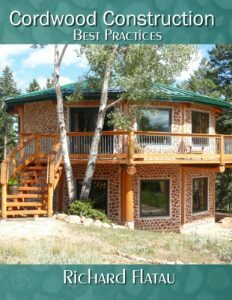 A grade beam saves on excavation cost and material. 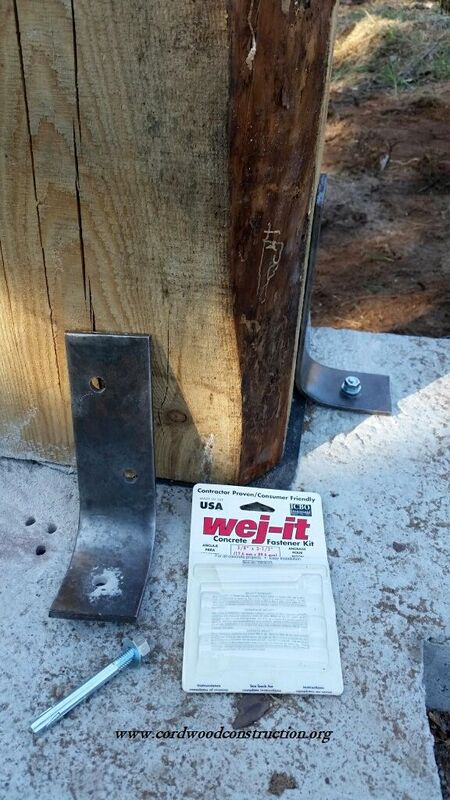 The posts are anchor wedged to the grade beam and lag bolted for stability. 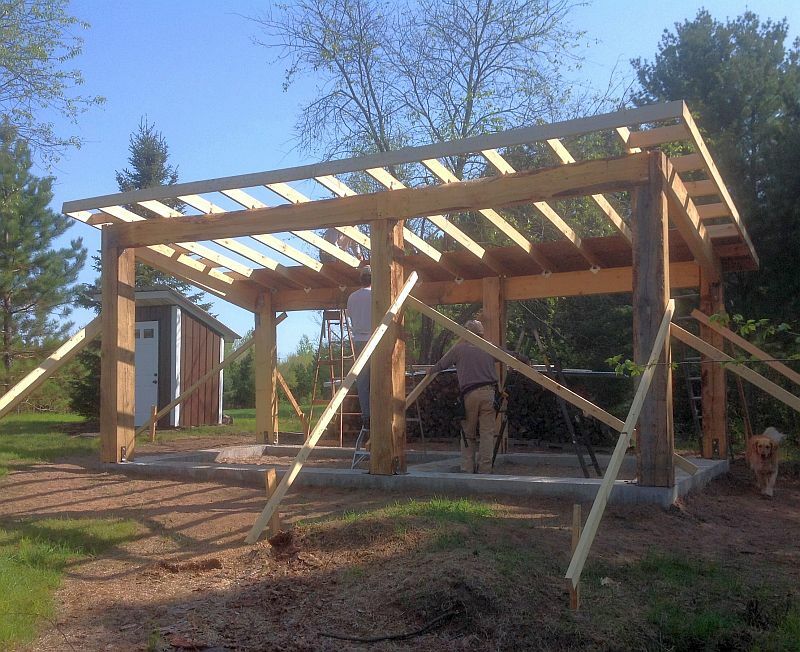 Note that the top beams are secured with 3/8’s inch iron brackets. Lag bolts being attached with a smile. 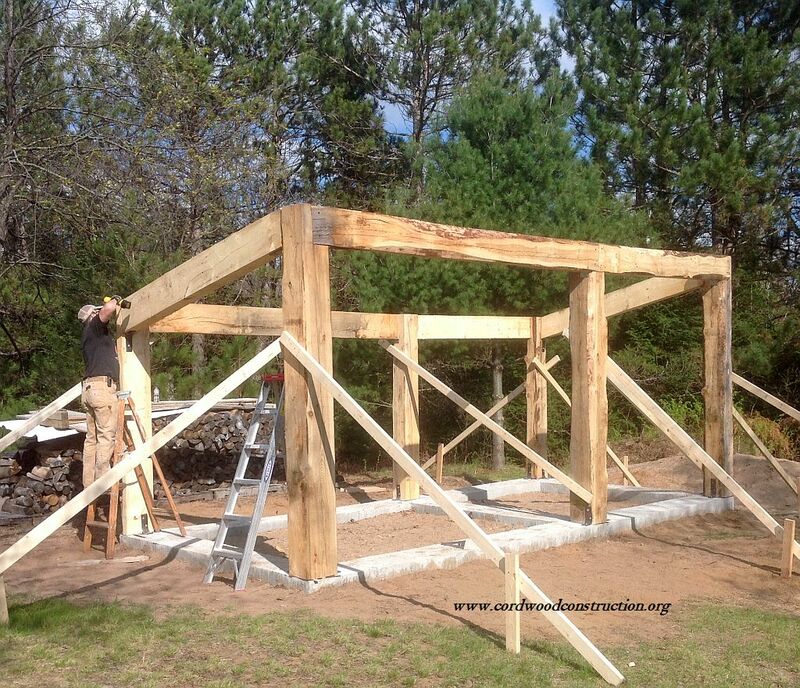 The sauna was framed using large portable sawmill posts and beams, with all the wood coming from onsite. 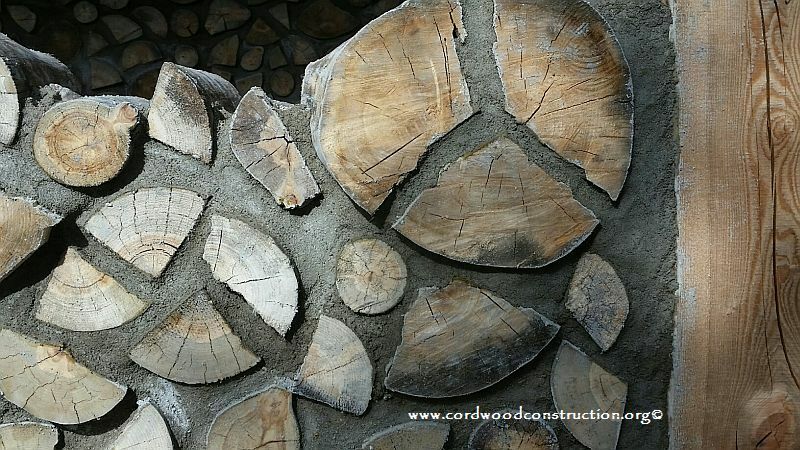 These pieces of cordwood have been dried to 12% moisture content or lower. The cracks on the faces let you know they are well seasoned and ready for cordwooding. Using a random rubble log placement makes for a unique and interesting wall. 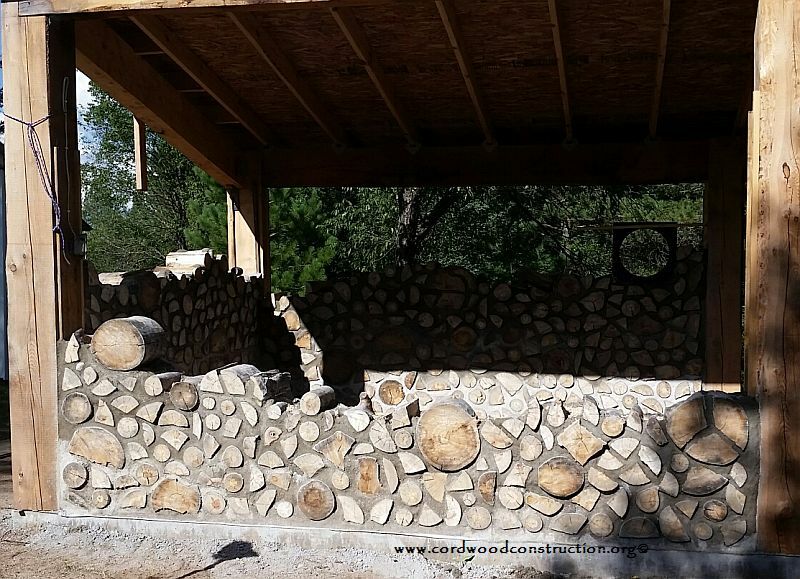 The large piece of the top right (above) is a 5 piece exploded round (aspen) which was put back together with one inch mortar joints. An outstanding group of workshop attendees who brought their own unique personalities and skills to the table. We enjoyed each and every one. 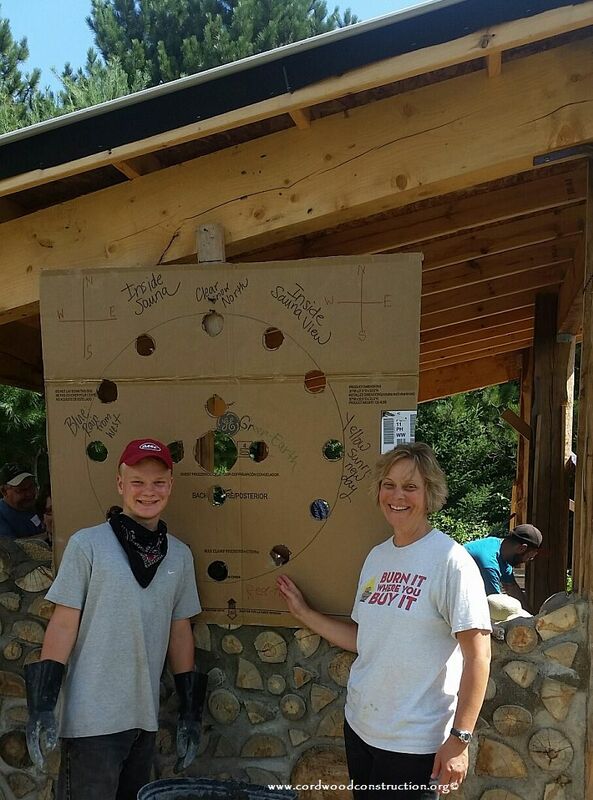 The beginning of the Ojibwe Medicine Wheel starts with a piece of large, heavy duty cardboard. It is attached and taken off at a predetermined height. The drywall screws at the top help the designers to know where to place the bottles. More photos will follow as the walls rise.